BELGRADE, SERBIA. 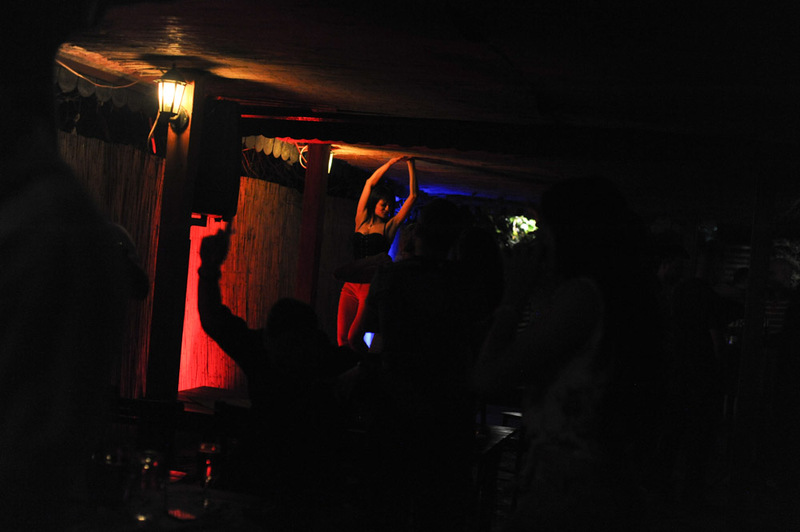 A woman dances on the table at Jos Ovu Noc, a kafana, or bar with live turbofolk music that blares late into the night on July 2, 2015. Such clubs as showcases for turbofolk singers and bands have their origins along the Ibarska Magistrala highway which goes south from the capital towards the most traditional parts of Serbia.